A well researched and well written historical fiction is always a pleasure to read. This book came highly recommended by my internet pal Emma. Having followed her for years now, I knew I had made the right choice of picking up this book. Set in old age France, the book is such a delight for "Francophiles" and mystery lovers like me. The protagonist, Paul Gastebois is an inquirer - a profession which is almost unheard of in the times of French Revolution. Apart from being an inquirer, he works for the police department, tailing foreign diplomats and tracking their activities to ensure that there is no international incident. An old man named Montingy visits him to ask him to find his missing friend Gaspard who is a song peddler. As Paul embarks on a journey to tack down Gaspard, he stumbles upon a major plot which could discredit a powerful member of the French police. What began as a straightforward and simple mystery turned quickly turned into an intricately woven web of events which led to a different ending all together. 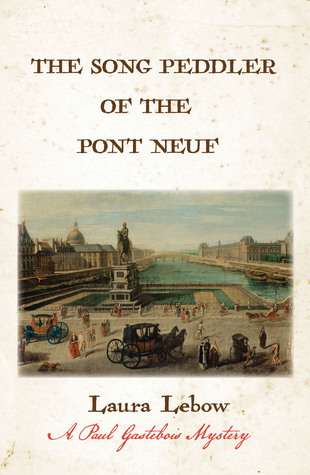 It is evident that the writer has put in a lot of time researching French politics and aristocracy which was crucial to her plot being quite air tight and interesting till the end. As a matter of fact, I had to carry out my mundane jobs with such difficulty for the plot kept running in my head wanting me to stop whatever I was doing and continue reading the book. In spite of heaving relying on politics and history for the plot line, the pacing never slacked at all. In short, this book turned out to be one of the best reads of this year. Please do buy the book here on Amazon & know more about it on Goodreads.